We are proud to have achieved Clubmark status, we are currently (May/June 2019) preparing for re-accreditation. Want to see what we achieved in 2018 then click here? Welcome to Deer Park Archers Website, busy yes but that reflects that fact! Lots going on, continuous improvements, lots of things to share, lots of achievements and a real passion for our sport and our community! Cost just £3 per head per session! Please click the following link for further details and to register your interest. Early in 2019 we started our own Men-in-sheds club following a number of requests to do so. It is open to all males +50 years old, all abilities, non archers and archers alike! Even members of other archery clubs who want to find out more and start something in their club. Want to find out more then click here. 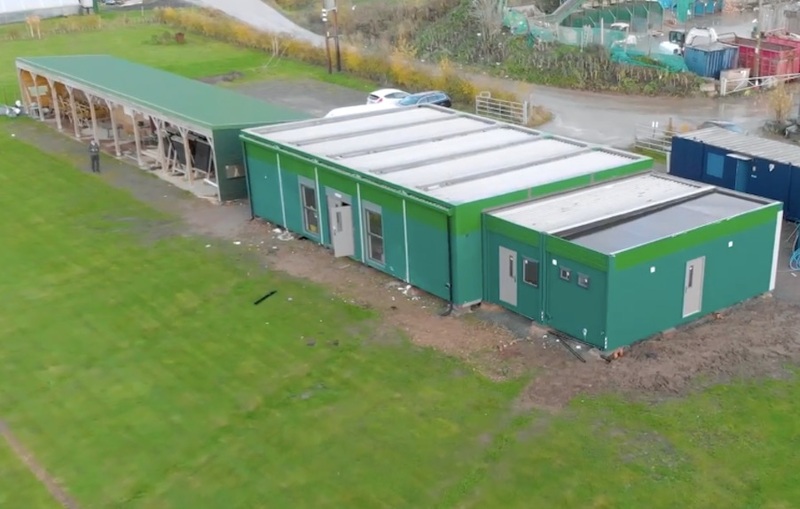 We are now the proud owners of a fabulous Clubhouse/Training Centre! We already have a busy diary of social and training events booked in to our new facility! We have a number of further developments planned to make Deer Park an asset to our community! Want to book a Club event? Lucy becomes a World Champion! We aspire to provide world class support for all abilities! We can help you and we are sure you can help us! Join us on a fantastic journey!. Looking to try archery and join a club? It is a great sport for all ages, we are blessed in Gloucestershire to have many good clubs, we strongly advise everyone to visit at least a few before you decide which club to join. We all have similar aims (forgive the pun!) but we also all have different cultures, different make up of membership, different programmes, varying locations, so take some time to make the choice that is right for you. History shows that Archery suffers from a big loss during the first 12 months and Sport England have set our Governing Body a target to reduce this loss, analysis shows right club selection and best support during this period is key. So please ask questions, do your research and make the best decision for yourself. We are a Sport and Recreation Club, we do much more than just shoot arrows, we are much more than just a venue, we play an active role in our community, we strive to be totally inclusive and also seek to make the experience we offer better each year. What is important is that you have a great archery experience and you take it up! You may join us or come along to one of our many tournaments as a visiting member from another club, you will be sure of a warm welcome either way! As of August 2018 we have 240 Archery GB members of which 90 are juniors. We have 3 satellite clubs with a further 150 junior members. More than 10% of our membership have a disability. Our own ground is located in Shurdington which lies between Cheltenham and Gloucester and offers target, field and clout facilities. Our indoor facilities are : Balcarras School Sports Centre (Charlton Kings), GL1 Recreation Centre, Kingshill Sports Centre (Cirencester), Birdlip Village Hall and Shurdington Social Centre. We do not offer 24 hour open shooting, all sessions (there are lots of them) are programmed and supported by coaches, we are passionate to remain a club, with social interaction at its heart and not become just a venue where people shoot! Archery GB has merged the ontarget Performance Club system and the Archery Training Centres (October 2018) – We are the only club in Gloucestershire to have achieved this! This merger will enhance the current ontarget Performance Club system, by consolidating investment and enabling members to be supported with their archery ambitions. 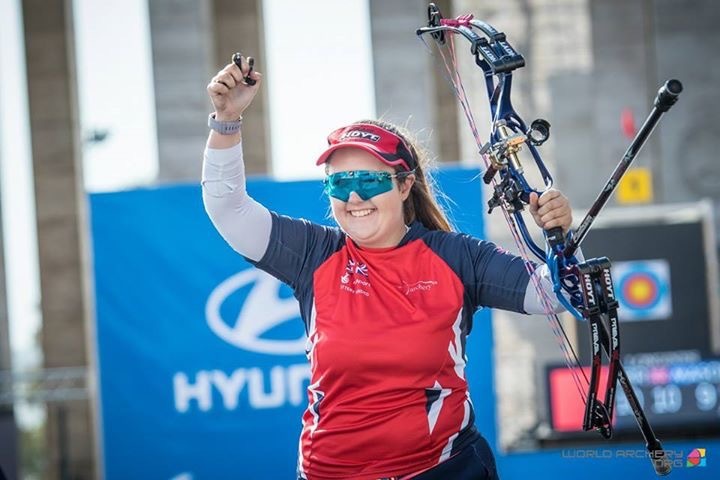 Whether that’s simply to improve their archery ability or to become the next Olympian or Paralympian, the performance club system will be able to support your members. This move will put the focus on clubs to provide suitable coaching environments that are aligned with Archery GB programmes. To be an ontarget Performance club, recognise the importance of suitable coaching and competition as fundamental drivers to raising performance, and create an environment that encourages excellence in club, school, and community settings. Archery GB and the ontarget Performance Clubs will be working together to develop sustainable, good quality experiences with their members, which will ultimately drive future success for members in National and International competitions. We seek to create a safe, orderly, caring, supportive and learning environment to facilitate archers, volunteers and officials of all abilities, developing to their full potential. We seek to develop and maintain an ethos where individuals are motivated to contribute something back to the club and the community by providing opportunities to do so and create an environment that fosters social, emotional, physical and intellectual development, respecting the whole person not just the archer! We strive to actively promote and develop our sport and engage individuals, families and community by keeping our activities affordable and inclusive, through the provision of a balanced programme of quality coaching, social activities and healthy competition at all levels. Our 30+ Coaches, club structure and facilities support pathways from recreational to high performance. We strive to be fully inclusive. We have been the Sport & Recreation Alliance National Sports Club of the Year and the Archery GB Ontarget Club of the Year twice and in 2018 received an award from Archery GB rtecognising our club’s outstanding poreformance and contribution to our sport and the Ontarget Club Development Programme! Please click here if you want to ‘know all about us’ in a lot more detail. Watch the following video and you will get a strong feel for the club and what we do. To see a video summary of our 2017 Achievements please click here! As a grant recipient we are pleased to acknowledge the support that the Big Lottery Fund has provided us with by supporting the development of our Inclusion Club and our ‘On target for the Gloucestershire Community‘ Project. We would also like to thank the following organizations for their generous support in the development of our ground and the work we do in the community. As a result of all the support we have received from generous external sources and our wonderful volunteers we have summarised individual and club achievements, including listing all members that have won age related National Champion Titles. Staggering list for just one club!